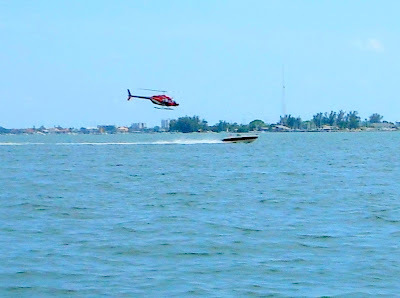 In an effort to crack down on the epidemic level problem of recklessly speeding boaters leaving wakes behind their boats, local constabulary are testing the use of helicopters equipped with radar guns. 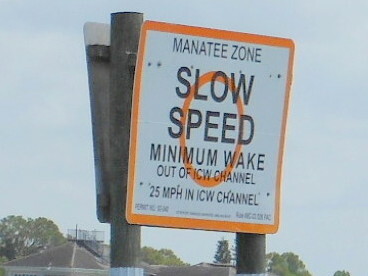 With the dramatic expansion of Manatee zone's, most local water speed zones are now confined to 25 mph in the Intercoastal waterway, and idle speeds outside the ICW. Signage in miles per hours were posted for the Sarasota area because of concerns that "Most boaters here don't understand that nautical mile thing" stated a local official, and we don't either. 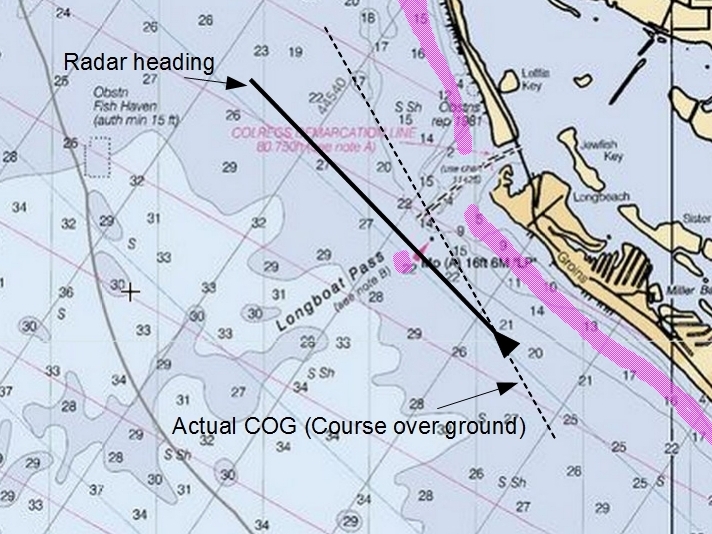 We just know that we get extra revenue if they are going 25 kts instead of the slower 25 mph. Authorities have been pleased with the results to date. 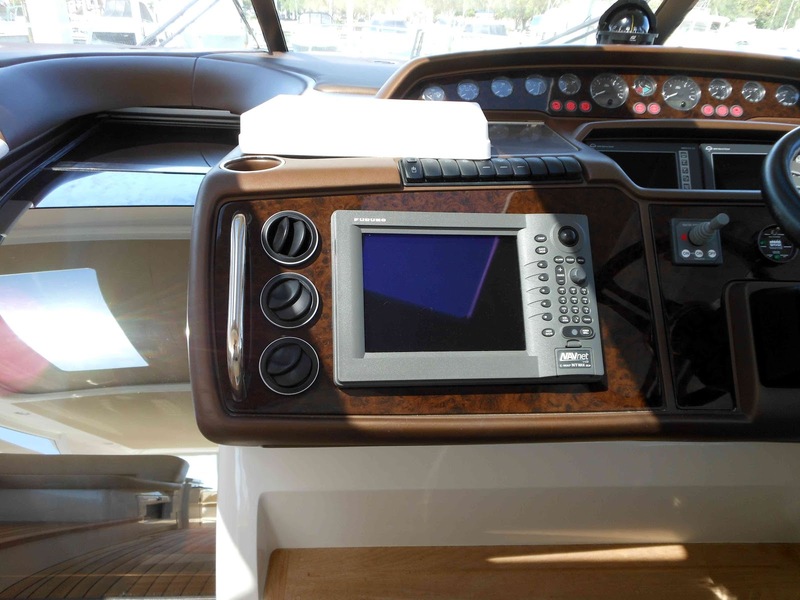 This boat builder belonged to a helm design school inspired by drive in movie screen design. Wide and flat is the modus operandi. The problem on this boat is the Furuno NAVnet display is in front of the passengers seat, and the helmsman has to lean over at an awkward angle to see the display. In this little project we are going to make a wedge to give the driver a better view of the display. It should only take a couple of hours to do this with a little pre-planning. Armed with this photo, and I actually had a spare display in the office, off to Delcraft I went. Bob and I chatted a bit, came up with a design, and I left the display with him. A few day later we have a beautiful wedge assembly for less than $140. This all started with hearing a rumor about a boat accident, that led to a lawsuit. This caused Raymarine to turn off their system's long existing capability of using GPS generated course over ground data as the radar overlay heading input. This was reinforced by Compass Marine's rant on Panbo that was similar to what I heard. So I explored the issue, and was initially confused by what I was finding. There is the recently settled patent lawsuit that involved almost all of the big MFD manufacturers. It appeared that since there were aspects of the case that could have involved radar overlay, this could be the culprit. In the end this was not the case, and it was settled by all parties in American GNC's favor. 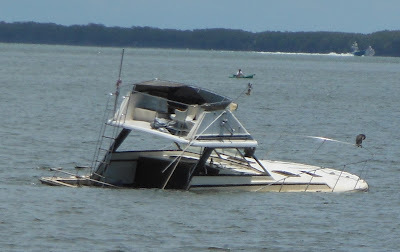 As for the rumored boat accident, I just couldn't find it. The one that was closest to the described accident was wrapped in somewhat of a mystery. 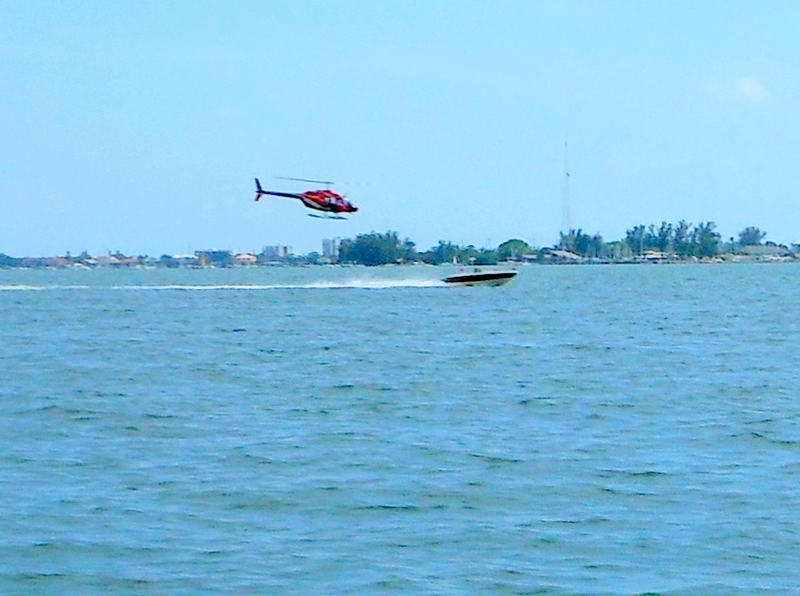 Despite the fact that three souls were airlifted off the vessel, there is zero reference to it in the USCG records. There were lawsuits, but I could find no information regarding them. 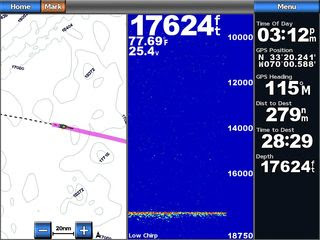 In the end I had spent way too many hours looking, and I picked up the phone, and called Raymarine. 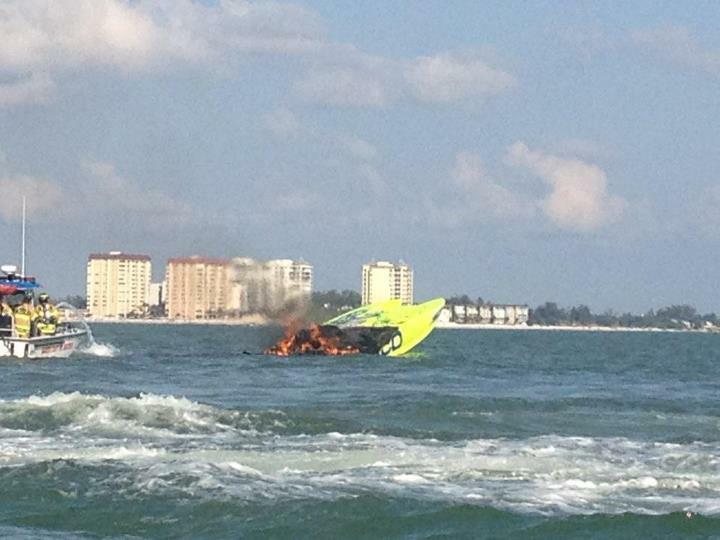 When I read about the 34' Silverton with 27 souls on board that capsized, my initial reaction was "Clown car". I mean where could you put all of these people on a boat of this size, and what was the boat's rated capacity? It turns out there is no rated capacity for passengers on this vessel. It falls generically into the category of "Yacht Certified", if it was certified at all. A young mother holds a newborn in a RAF hospital late at night in England. She remembers how vivid and spectacular the stars were that night, and many years later tells her child this. The daughter is intrigued and wants to know what her mother would have seen on the night of her first day. She chased down information on a now long closed air force base. She found pictures of the base hospital, got its orientation, and the lat/long position. The view her mother saw was facing west. An online star almanac was found. 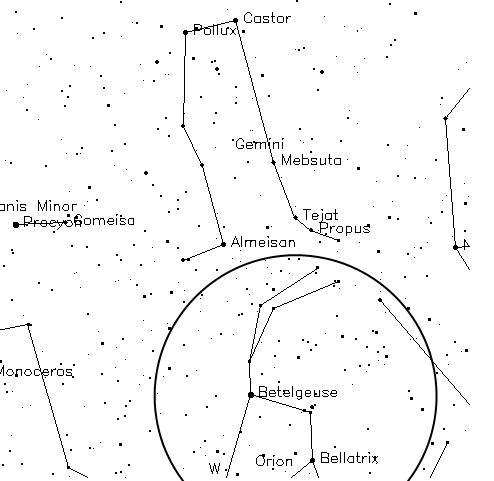 Date, time, lat/long and azimuth are fed in, and this is the view of the night sky her mother would have seen. Kate's going to get a tattoo. The 6000 hp turbine powered 50' Miss Geico caught fire Saturday afternoon during test runs off of Lido Key in Sarasota Fl in preparation for the Sunday Suncoast offshore Powerboat race.